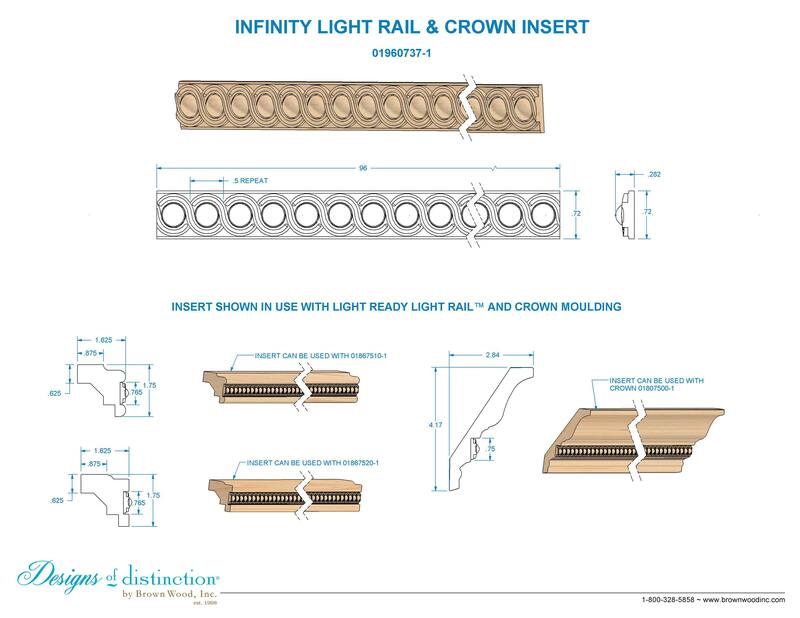 Fun and whimsical, the Infinity Light Rail Insert is ornate and dignified. With unique, delicate carved details, the Infinity Light Rail Insert is beautiful on it’s own or combined with our Traditional, Contemporary, or Crown Light Rail Moulding. The Infinity Light Rail Insert is part of our Infinity Collection. Shop more of this look in the Infinity Collection.